These are my picks for the best of Designer cuffs. I didn't go crazy and didn't pick outragiously expensive designer pieces, but concentrated on more affordable and yet very fabulous designers! My all time number one for cuffs and rings is Kara Ross. 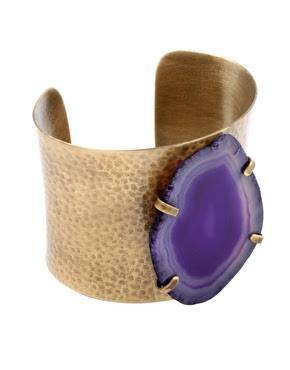 I have a beatufil golden cuff with zitrine stone and gorgeous blue stone cocktail ring. These are not everyday pieces, unless of course you like your bling bling. I would wear mine for special occasions and when I do, they make any outfit pop. The two snakeskin cuffs pictured are on sale at Asos! Next is Rachel Leigh: her jewellery is more funky and girly. I have a couple of small bangles which I wear in the summer. They are super cute and won't set you back much. Ben Amun and Blue Bijoux cuffs are always very sparkly and over the top - and I love it! I get most of my cuffs and bracelets on the highstreet. The best places for one of a kind pieces are Asos, Topshop and Mango! I got an amazing blue stone golden bangle for 10 euro at Mango the other day. It could easily compete with some Kara Ross items.